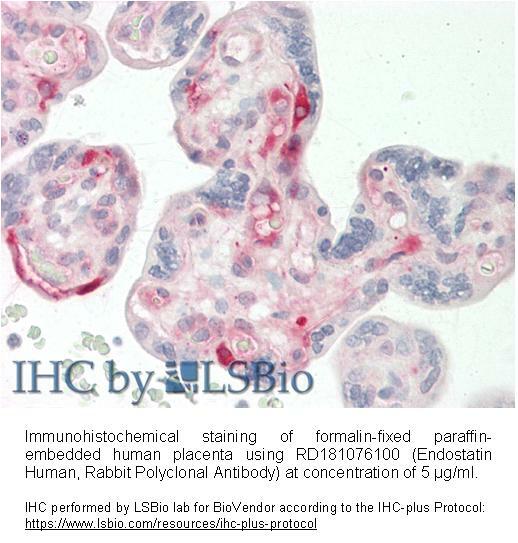 The antibody was raised in rabbits by immunization with the recombinant Human Endostatin. The immunization antigen (20 kDa) is a terminal fragment of collagen XVIII. 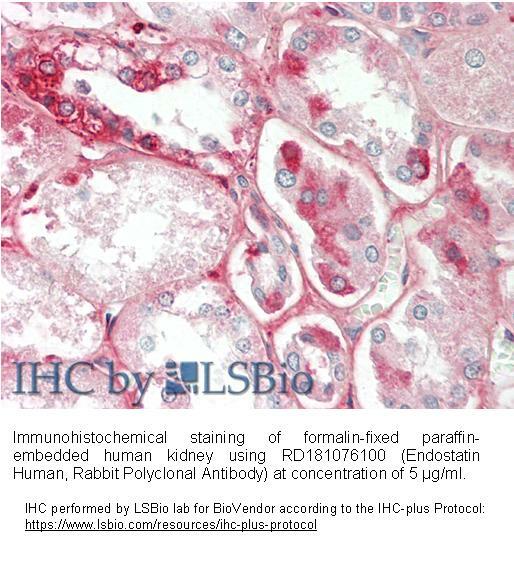 Immunoaffinity chromatography on a column with immobilized recombinant Human Endostatin.